Pillars of Eternity is a new RPG that was just launched yesterday on Steam and by now it has around 500 positive reviews but some players are reporting constant errors and bugs in the game and they are unable to play it.The most common Pillars of Eternity errors that players are complaining about are: Random Crashes, Achievements, and game not showing on the profile, Freezes, and some minor issues. Below you can see the errors detailed and for the minor ones you can also see a quick fix but for the major issues like crashes and freezes you will need to follow our solutions on how to fix Pillars Of Eternity errors. 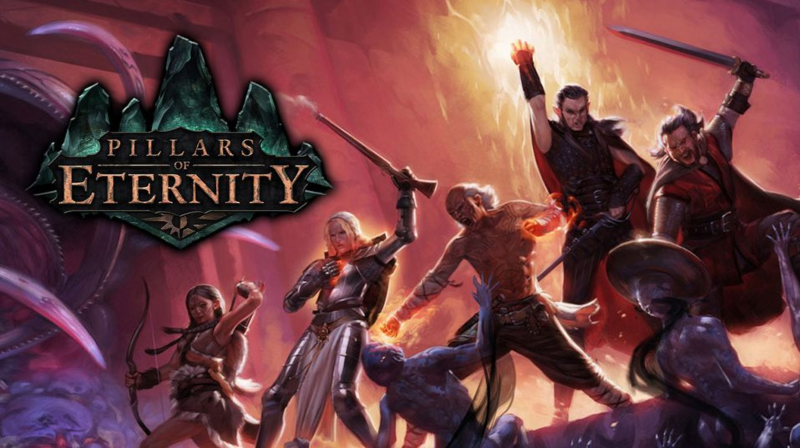 Pillars of Eternity Crashes, players reported that their game keeps crashing randomly, or when they start it, a lot of users complained about crashes in the Gilded Vale area of the game. Solution: If you’re playing on the laptop and you have AMD graphic card, do go to the Catalyst Control Center – Games tab and disable the “AMD Radeon Dual Graphics” function. Pillars of Eternity No Achievements, for some players the achievements are not showing on their profiles and also the game, is now showing too. Solution: Try to restart the game and Steam also and the achievements will appear. “I’ve been playing a few hours, and scouting doesn’t seem to work properly. I have the “official” strategy guide (backer and all that), and I look for secrets I may have missed in areas I just done. But then, when I go to collect them, using scouting, they don’t show. Except for a few of them. For example, in the temple of Eothas basement in the first city (the one with the 3bells puzzle), I can see the lever to the secret door for a shortcut in the “south” part of the map, but not the key on the priest room. According to various sources, scouting doesn’t seems affected by stealth or anything. Is that true, or did I miss something? Is it a random number check, or a fixed value? Is there something else to do than just scouting, like for example using the cursor to “find” the secret? Scouting Mode: You or your entire party can sneak around in Scouting mode by pressing the ALT key. While you’re scouting the area, you’ll be able to spot things such as traps and hidden treasures that you normally wouldn’t find while galavanting around. Having a character with the Mechanics skill will allow you to disarm traps which can then be used against your enemies. You can also do a bit of reconnaissance while Scouting to see just how many enemies might be lurking beyond the fog. Just remember that each member of your team has different levels of Stealth so while your rogue or chanter might be great at sneaking up to or away from enemies from the start, your wizard will not. Pillars of Eternity Freezes, it seems that some players that are playing from a 64 bit OS are encountering freezes. Solution: Make sure that you don’t have any background apps running. Pillars of Eternity Cage Cursor Not Working, for some players the cage cursor option just stops working after a few minutes of playing. Solution: Restart your game and Steam and apply the new update to the game that fixes this issue. We hope that our tutorial helped you fix your Pillars of Eternity Errors and that now you are playing the game.If you have any questions or other errors, please contact us with a comment below or by using our contact page and we will help you fix your game. I am having an issue with my map gliching/texturing. Initially it was when I would open/close the game using the alt Tab. Now it seems to cover every map. What can I do to remove the texturing?